So finally, here is the first of the book reviews for you. I have had many of these since May! But with all of the other things I am doing, I have just never gotten around to these. But I have a bunch coming in the next few weeks. I also have some fabrics that I want to talk about as well as my classes for the Sisters Quilters’ Affair (the week before the Sisters Outdoor Quilt Show). 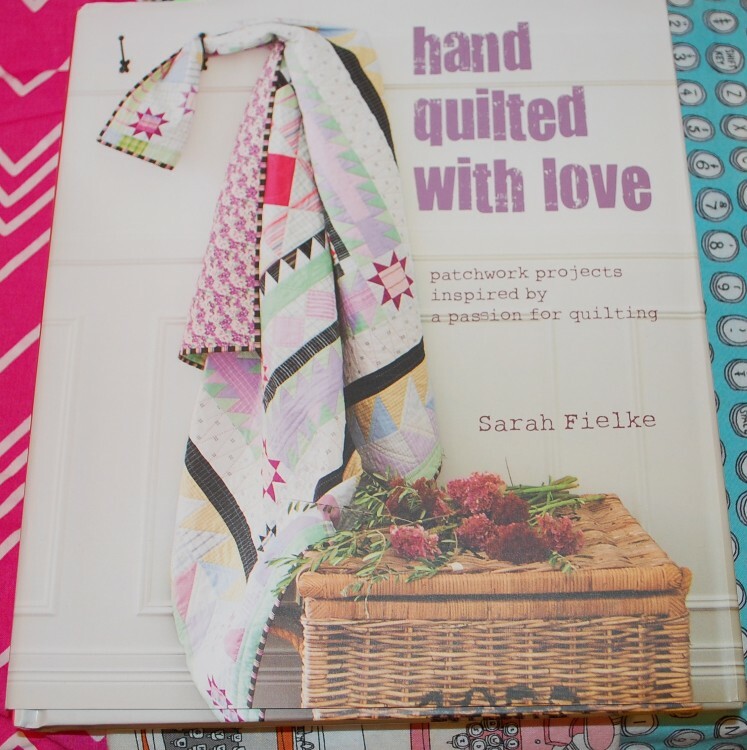 The first book I am going to share with you is Hand Quilted with Love – patchwork projects inspired by a passion for quilting by Sarah Fielke and published by Cico Books. I was lucky enough to meet Sarah at Market this last spring in Portland, but I never really got a chance to hang out with her much, so I hope that I can rectify that somewhere down the road. 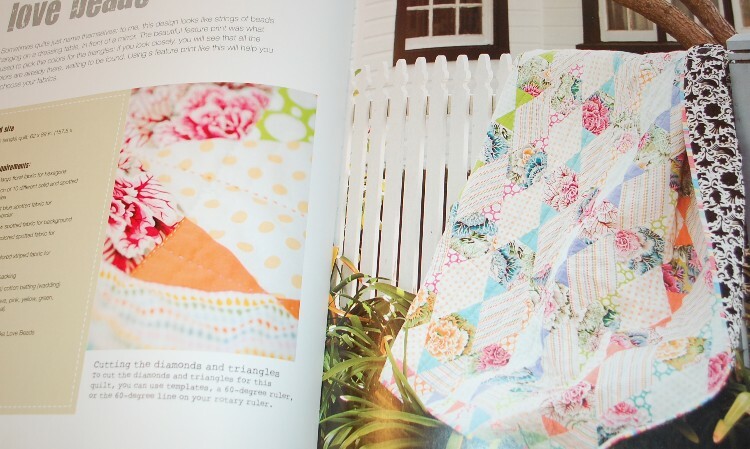 But I did manage to get in the line for a copy of her newest book Hand Quilted with Love! And I am VERY happy that I did! I had been a big fan of her Material Obsession books that she co-authored with Kathy Doughty and couldn’t wait to see this one. 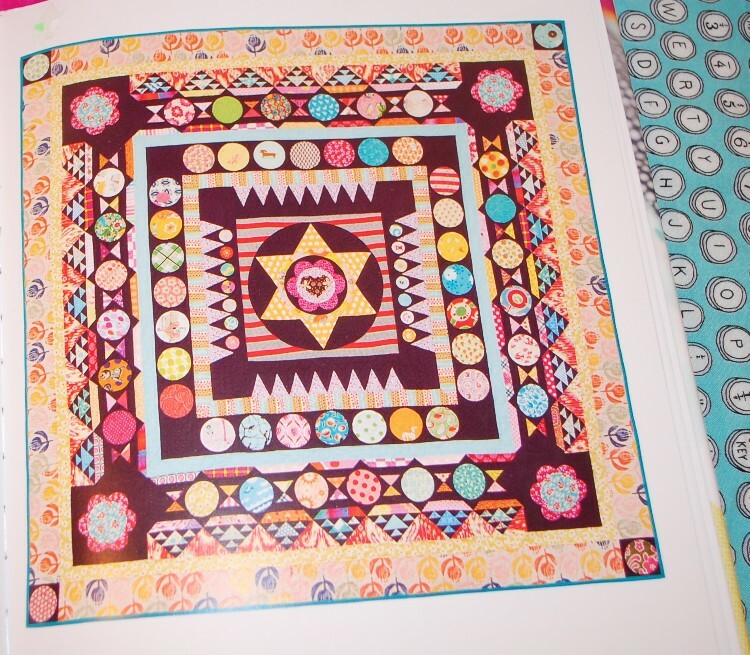 I love how Sarah starts off the book talking about how past books have had “themes” and for this one, she had the luxury of just designing quilts she wanted to do because she wanted to do them! Makes for a nice mix of things that is for sure. I was very pleased to see the bass line quilt in there. 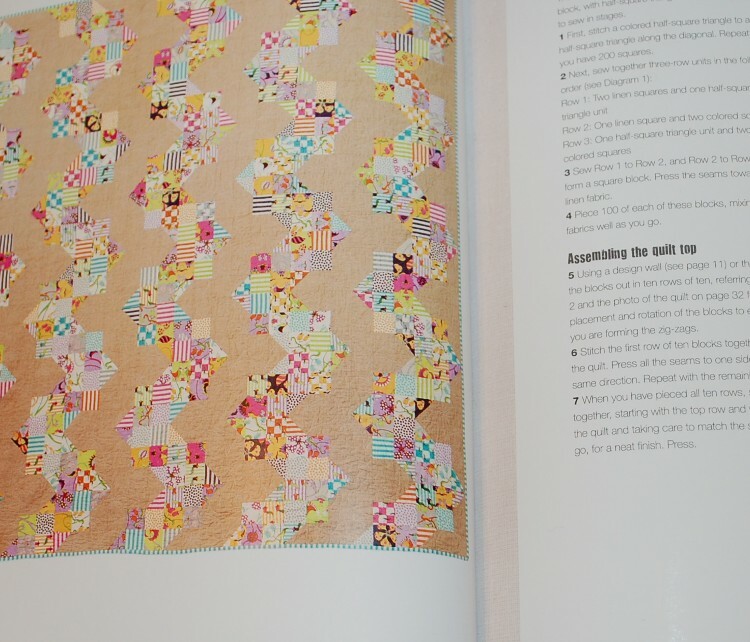 I contributed to that quilt and I didn’t even know it would be in this book. 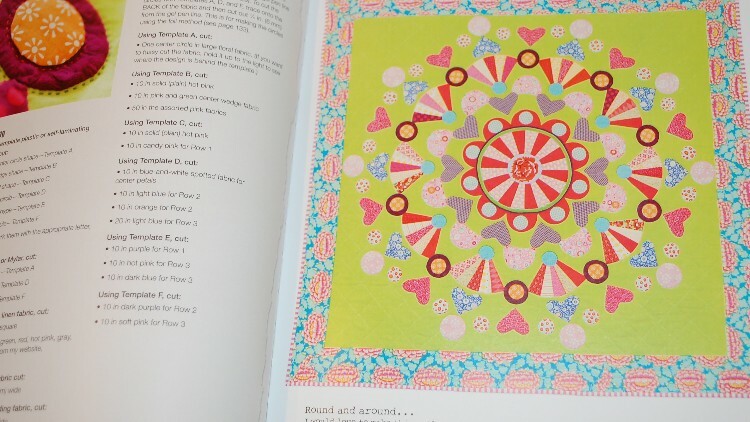 It was created for Amy of Mrs. Schmenkman Quilts fame after she lost her husband back in 2011. It was a quilt created for someone in mourning, but has such a joyous feel to it. I think it would bring anyone’s spirits up, and SOOO easy to make. 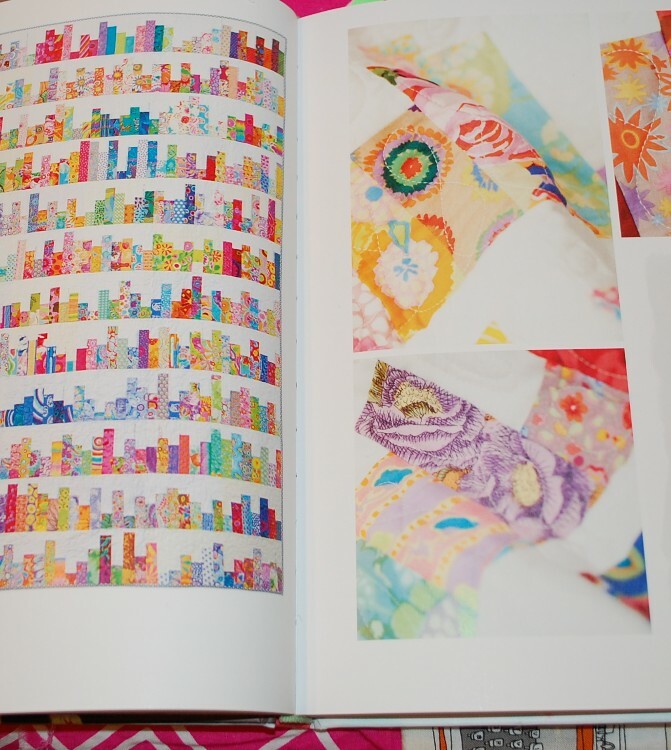 So many quilts in here that are just lovely, I can’t possibly pick my favorites. I would probably never get to the appliqué ones you know, but they are all incredible. I just love how Sarah uses so many fabrics with abandon. You know that’s how I roll too, so it really is no wonder I love this book. Nice bonus? It’s a hard back one too! I always think that hardback books have more “oomph” to them, you know what I mean? Even though I can’t pick favorites, I do need a few for the pics in this post, right? So let’s start at the end and mention lady marmalade. I love the very unique colors in this quilt, especially the chocolately brown solid. There is something very striking about this quilt, and I think it may very well be that brown and how it contrast so very much with those lights. Grey had that same “unique” feeling about 7-8 years ago, don’t you think? I think brown may be coming back as the “fresh” new neutral maybe? And love beads keeps catching my eye too…. So that’s my thoughts on Sarah’s book. If you want a top quality book with lots of inspiration and beautiful photography (I forgot to mention that…the photographs in this book are splendidly delightful!) then go out and get this baby!! So that’s it for today….I have much to share with you including some actual PDF patterns coming up for sale from the Blue Nickel, my classes at Sisters next summer, and much more! Talk to you soon. I am making some cups from that book to send to Sarah to be included in a special quilt just for her!